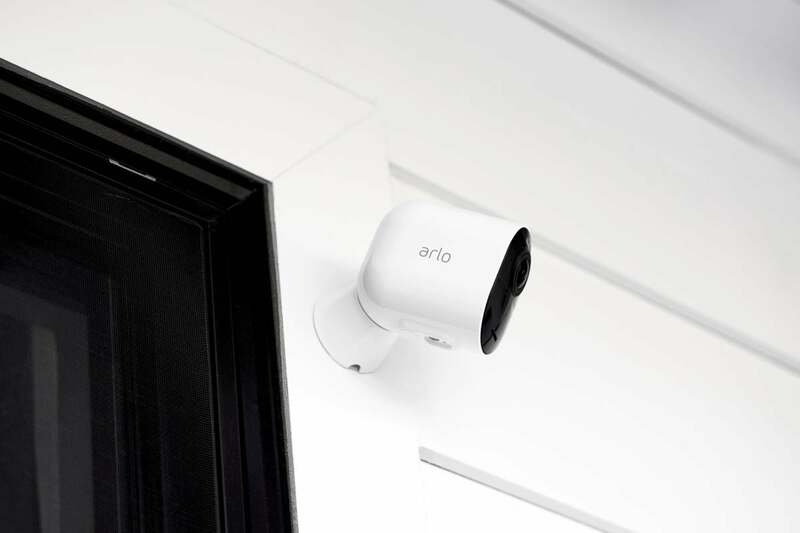 After producing a string of successful security cameras—including some of our top picks—Netgear spun Arlo Technologies off as an independent, publicly traded company in 2018. 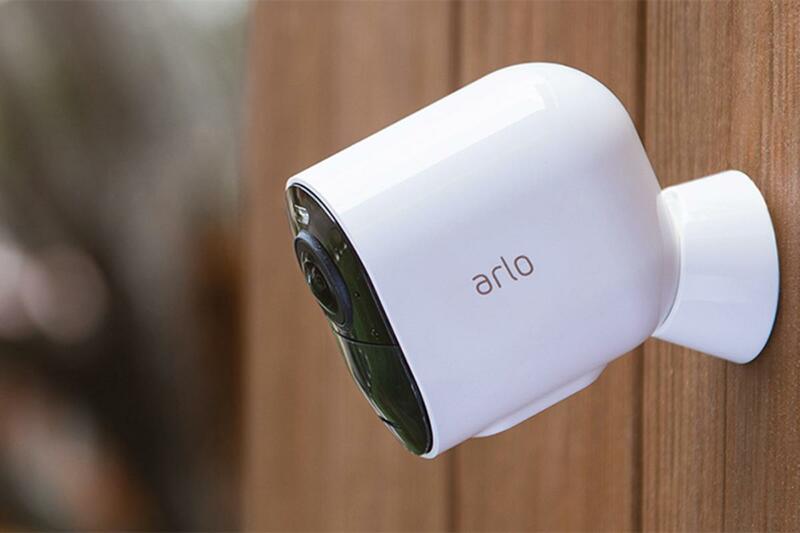 But Arlo’s new flagship product—the indoor/outdoor 4K Arlo Ultra—had a rough launch. The company pulled the high-res security camera from Best Buy shelves for a time and delayed its general release after a series of firmware updates failed to resolve a raft of customer complaints. Based on my time with the Arlo Ultra, it would seem that Arlo has resolved the most commonly registered problems: inconsistent wireless connectivity, short battery life, and an inability to stream 4K video. None of those issues surfaced while I was evaluating the camera. As such, the Arlo Ultra is another strong security camera from a brand that has topped itself with each new product introduction. For this review, Arlo sent a $400 kit with one Arlo Ultra and the required Arlo SmartHub. Each additional Arlo Ultra costs $300 (you can buy the camera by itself as an add-on, but it won’t function if it can’t connect to the SmartHub). If you know you want more than one camera from the get-go, you can save a little cash by buying a multi-camera kit: A two-camera package with the hub is priced at $600, the three-camera bundle goes for $800, and there’s a four-camera pack with hub for $1,000. The Arlo Ultra streamlines the pod design that goes all the way back to the Arlo HD we reviewed in late 2015. The white, branded body and black camera face are still the main design cues, but the Ultra feels substantially heftier than the Arlo HD or the Arlo Pro and Arlo Pro 2. The weather-resistant Ultra attaches to a magnetic mount for easy installation. The Arlo Ultra offers a host of first-time features for the Arlo camera line: 4K video with HDR is the most notable, but this camera also features a 180-degree field of view, color night vision, automatic zooming and tracking, and an integrated 100-lumen LED spotlight. There’s also a pair of noise-cancelling microphones and a siren built into the camera. On other Arlo cameras (with the exception of the Arlo Go, which connects to an LTE network and does not require a base station) the siren is built into the base station. Finally, the camera’s mount has been redesigned, and there’s a new magnetic charging cable that enables 24/7 continuous recording. The Arlo Ultra comes with a complimentary one-year subscription to Arlo’s Smart Premier cloud-storage plan—otherwise priced at $10 a month—which lets you to store video from up to 10 Arlo cameras for 30 days at a stretch. If you still want cloud storage when that plan expires, you can opt for the basic Arlo Smart plan, which provides 30 days of video history for a single camera for $3 per month, or the Arlo Smart Elite plan, which gives you a 60-day history for up to 20 cameras for $15 per month. The Arlo Ultra can also host a microSD memory card (but you’ll need to provide your own). Once you connect the base station to your router with an ethernet cable and switch it on, just follow the prompts on the Arlo companion app to complete the setup. The base station does most of the lifting, automatically finding and connecting to the camera. All you’ll have to do is insert the battery into the camera, and name the camera and base station. Once the camera is connected, you need to find a location with a good vantage point and a strong wireless signal, and then attach the camera’s mount with the provided hardware. A single screw is all that’s needed to affix the mount to a fence or exterior siding, and the camera attaches magnetically to the mount, so this is a fairly low-labor process as well. If you’re not using the continuous-charging cable, Arlo says you can expect three to six months of battery life per charge. 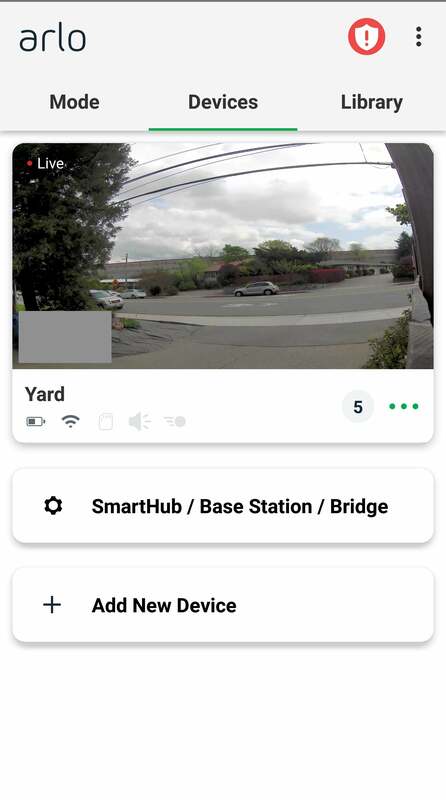 You can view the camera’s live feed right from the device tab in the Arlo app, or you can enlarge for a full-screen look. 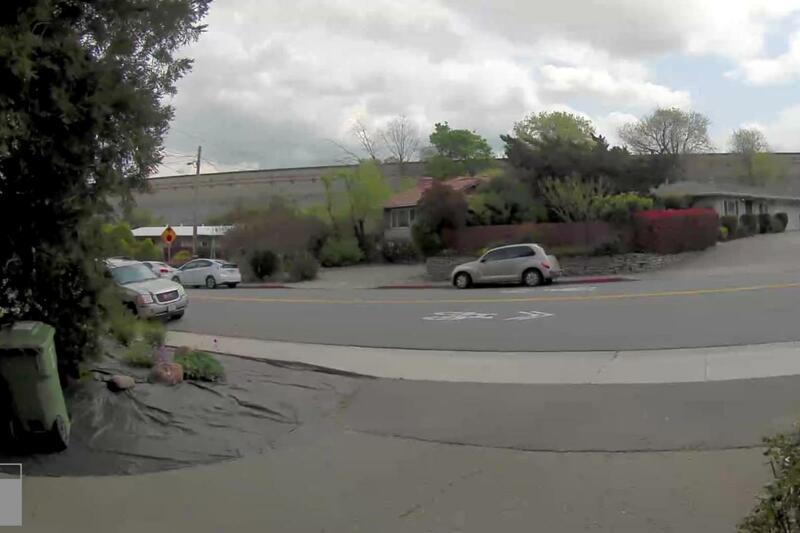 You might think 4K HDR is overkill for security footage, but its unparalleled sharpness and clarity can make a world of difference when you need to discern an intruder’s facial features or capture the license plate on a moving vehicle. The camera’s 12X zoom helps even more in this regard. You can view the live stream right from the device tab. Most of the time, though, you won’t be vigilantly monitoring your live stream for suspect activity. This is where the Ultra’s security features shine. When the camera detects motion, it pushes you a notification, activates its spotlight, and starts recording video. It also automatically zooms in on the person or vehicle that triggered it and tracks person’s or object’s movements as long as they are within the camera’s field of view. The Arlo Ultra’s spotlight enables another one of this camera’s better security features: color night vision. The black-and-white footage provided by typical night vision allows you to see objects more clearly in the dark, but it obscures important forensic details such as the color of a car or the clothes an intruder is wearing. The Arlo Ultra’s approach captures these crucial identifiers in addition to providing generally clearer nighttime footage. You can customize many of the camera’s security features to your particular needs: Motion-detection sensitivity can be adjusted up or down, for instance, and you can set motion-detection zones to limit the area that’s monitored. There’s also a “reduce wind noise” setting to optimize the dual microphones’ already excellent audio. Even the camera’s viewing angle can be adjusted, from Full (120 degrees), to Wide (150 degrees), to Super Wide (180 degrees). The Arlo app neatly organizes all video clips on its library tab in reverse chronological order. Each clip is date- and time-stamped and identifies the type of motion—person, vehicle, etc.—that triggered it. During playback, you can zoom and pan the image using finger gestures to get a better look at the subject or activity. You can download, share, delete, or favorite any clip, or donate it to Arlo for research purposes. Despite its rocky debut, the Arlo Ultra is another win for Arlo and security DIYers. This 4K security cam shares many features with the Nest Cam IQ Outdoor—which will remain our top pick in outdoor security cameras due to such features as facial recognition and intelligent audio alerts that the Arlo Ultra does not share—but the Arlo Ultra comes in a close second and should not be overlooked, particularly if you’re already invested in the Arlo ecosystem. The Arlo Ultra is offers crystal clear 4K video and excellent motion detection features for outdoor security that will bring peace of mind.